1. Exporter signs the contract and sends it to the buyer. 5. The exporter approaches the bank for post-export financing facility with the pre-export documentation, a copy of the signed contract and letter of credit received from the buyer’s bank. 6. The bank approves the facility and communicates this to the exporter (the bank might need collateral or export credit guarantee if the LC is not confirmed). 7. Exporter conclude the export operations and submits all the document required in the letter of credit (like Bill of lading, Inspection report, Invoice, packing list) to the Bank which verifies the authenticity of the inspection report and also confirms if it is in line with the quality specifications and other terms and conditions of the letter of credit. 8. The exporter’s bank discount the invoice by pre-paying the exporter 60-80% of the total invoice value in the currency of transaction stated on the invoice. 9. The exporter’s bank forwards the documents to the buyer’s bank with a cover note on payment instructions. 10. Buyer’s bank reviews documents for discrepancies and if none, it transfers export proceeds to the exporter’s bank. 11. The buyer’s bank then delivers documents to the Buyer. 12. The exporter’s bank liquidates the post-shipment finance facility and credit the account of the exporter with the balance. The table above shows the revenues of 15 companies on the Fortune 500 list. These companies produce different goods and services exported to Nigeria and other parts of the world from America. 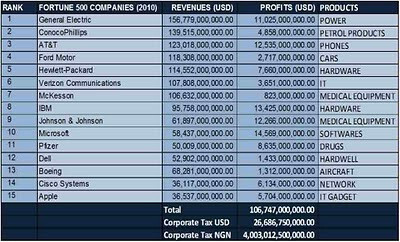 The total profit for these 15 companies according to Fortune 500 in 2010 is USD106,747,000,000.00. The corporate tax these companies paid to the American government ranges from 15-35%. With an average of 25% corporate tax, these 15 companies will be paying USD26,686,750,000.00 to the government of America from their revenue in 2010. 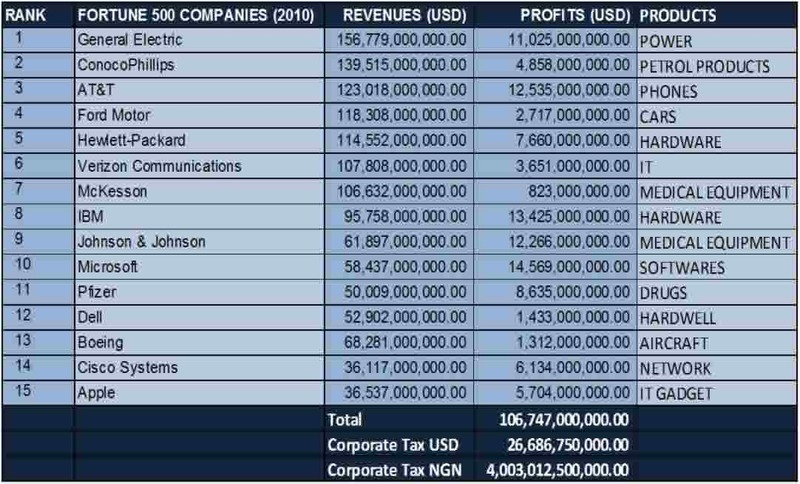 It is therefore interesting to note that the Naira equivalent of the total sum of these corporate tax paid by just 15 companies to the American government is NGN 4,003,012,500,000.00. The federal government of Nigeria presented a budget of 4.236 trillion naira to the National Assembly in December 2010. This figure is equivalent to what just 15 companies are paying in corporate tax to the US government in one year. The last column of the table above shows the products and services rendered by these companies. These are products that most Nigerians and other people around the world use from time to time. This goes a long way to show that, these American companies export these products to us in Nigeria and other parts of the world and take all the dollars back to America from which their government enjoys so much from taxation. 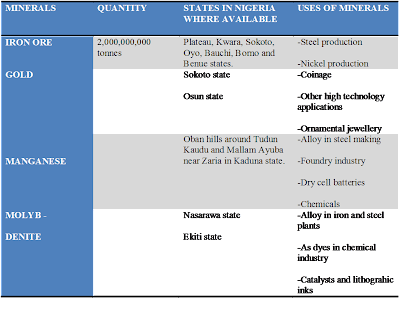 Therefore, if we really want to grow our economy, create employment, diversify the government sources of income, then there is need for as many Nigerians as possible to be involved in export of various Nigerian products ranging from Solid Minerials, Agriculrural Commodities and the products of small manufactures like shea butter, leather etc. 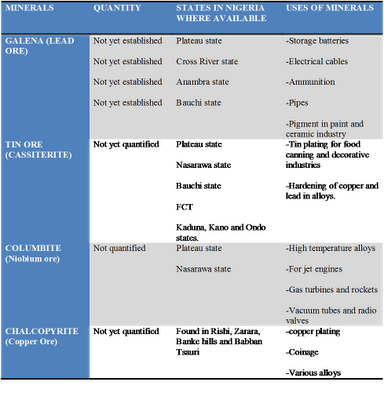 We can start by exporting raw materials and as the business grows we can move on to begin to export semi-processed goods and finally finished goods like the companies listed in the table above. The purpose of Export Credit Insurance is to mainly offer offshore protection to exporters of goods and services who sell their products on credit terms. The exporter is insured against losses arising from a wide range of risks, which may be conveniently categorized into either commercial risks, or political risks. The presence of an Export Credit Insurance provides exporters of goods and services with a significant degree of financial security, thus allowing companies to pursue bolder export policies by accepting new purchasers, and entering into new overseas markets, but with a smaller impact from the risks of non-payment and political instability. 2. Exporter signs the contract and sends it to the buyer. 3. Exporter submits pre-export documentation and a copy of the signed contract to the Bank. 4. Exporter applies for export credit insurance with Bank as the first loss payee. 5. Insurance company forwards the export credit insurance certificate to Bank. 6. Exporter procures the commodities, arrange for warehousing and inspection and also engage the service of a Freight forwarder for post export documentation and delivery of the commodity to the shipping line. 8. The Bank discount the invoice by pre-paying the exporter 75% gross invoice value in the currency of transaction stated on the invoice. 9. The Bank forwards the documents to the buyer’s bank with a Documentary collection instruction to the deliver documents against payment (D/P) to the importer. 10. 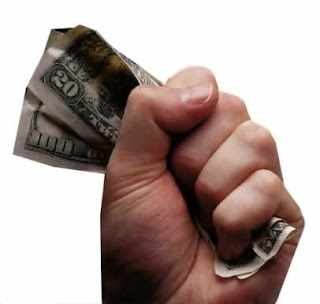 Buyer’s bank delivers documents to the Buyer against payment of the invoice value. 13. 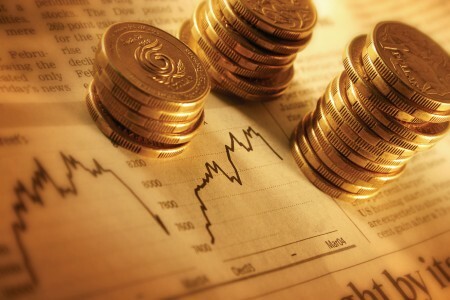 The Bank liquidates the post-shipment finance facility and credit the account of the exporter with the balance. Export factoring is a complete financial package that combines export working capital financing, credit protection; foreign accounts receivable bookkeeping, and collection services. A factoring house, or factor, is a bank or specialized financial firm that performs financing through the purchase of invoices or accounts receivable. Export factoring is offered under an agreement between the factor and exporter, in which the factor purchases the exporter’s short-term foreign accounts receivable for cash at a discount from the face value, normally without recourse. It also assumes the risk on the ability of the foreign buyer to pay, and handles collections on the receivables. Thus, by virtually eliminating the risk of nonpayment by foreign buyers, factoring allows the exporter to offer open accounts and documentary collection payment terms, improves liquidity position, and boosts competitiveness in the global marketplace. Provides quick alternative source of financing. Funds business growth/expansion without increased bank debt or selling equity. Provides immediate access to working capital. Enables company to increases sales and profitability. Invoice discounting is a means of raising money using invoiced debtors as security; it differs from factoring in that the borrower retains control of dealing with customers and collecting payments. The fundamental difference between invoice discounting and factoring is that the borrower is responsible for the collection of cash from your debtors. The payments are received into a nominee bank account which is administered by the invoice discounter. Invoice discounting allows a business to draw money against its sales invoices before the customer has actually paid. To do this, the business borrows a percentage of the value of its sales ledger from a finance company, effectively using the unpaid sales invoices as collateral for the borrowing. This leads directly to one advantage of invoice discounting over factoring: it is possible to keep the use of invoice discounting confidential (conceal it from customers). Because of this, lenders offering invoice discounting will want to satisfy themselves that the borrower is able to handle the process adequately, with sufficiently good staff and processes. § By receiving cash as soon as a sales invoice is raised, the cash flow and working capital position of the business will improved. § The business will only pay interest on the funds that it borrows, in a similar way to an overdraft, which makes it more flexible than debt factoring. Nigeria is an emerging economy with high growth potential. Unfortunately, most of it remains untapped due to many exportable commodities being neglected, as the federal government’s main focus is the exploration and exportation of crude oil. In addition, the government and financial institutions have so far given little or no attention to developing commodity export in terms of policy implementation and export financing, respectively. There is no doubt that Nigeria is capable of increasing her current levels of commodity production. The country is among the top ten in the export of commodities worldwide, despite the fact that nearly all Nigerian commodity exports are mostly cultivated by small scale farmers. For example, Chemonics International Inc.’s 2002 report on the overview of the Nigerian Sesame Industry, Nigeria is listed as the seventh largest exporter of sesame seeds in the world. Thus, it is proposed that exporters should be financed in order to increase the demand for several Nigerian commodities, which will in turn raise the return on investment (ROI) of farmers. The bigger the ROI of the farmers, the more they will be encouraged to cultivate on a larger scale. New entrants will also be enticed to join, and Nigeria’s annual production will ultimately grow as a result. 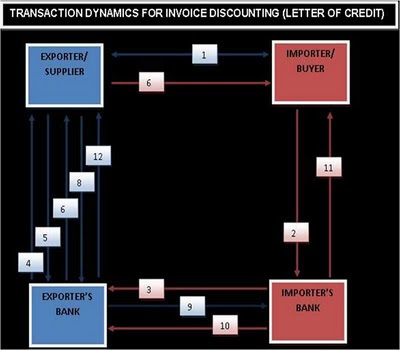 Most small scale Nigerian exporter uses open account or documentary collection and unconfirmed letter of credit as mode of payment and has to wait for at least 14-30 days from the date of shipment to the date of receipt of the export proceeds from the buyer. 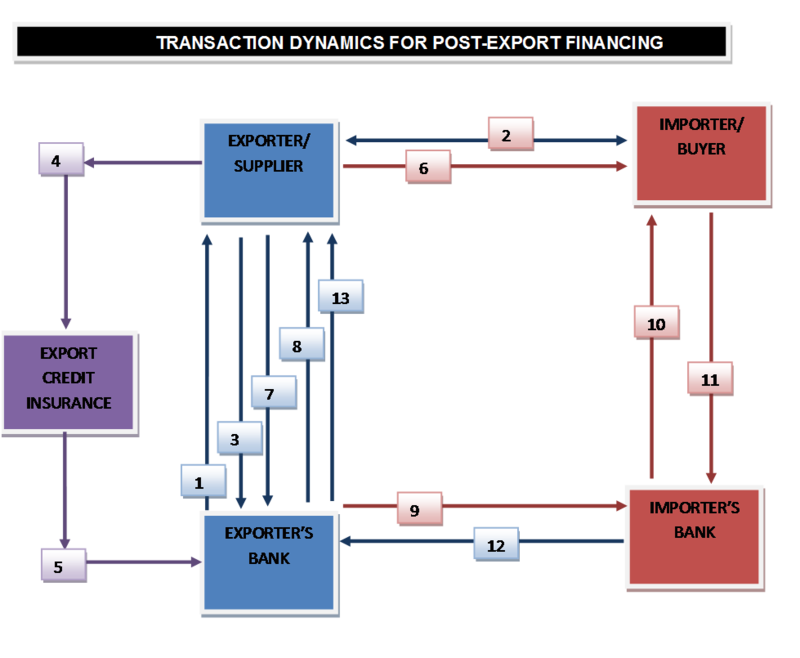 Post-shipment financing, which finances exported goods from the date of shipment to the date of receipt of the export proceeds, aims to provide small scale exporters with the working capital needed to minimize the cash constraints resulting from the extended waiting period. Since the waiting time depends on several factors, the need for post-shipment finance to reinforce the exporter’s financial position also varies accordingly. Post-shipment finance can take various forms but we will only be focusing on factoring or discounting of receivables. Export credit insurance The purpose of export credit insurance is to provide offshore protection to exporters of goods and services who sell their products on credit terms. 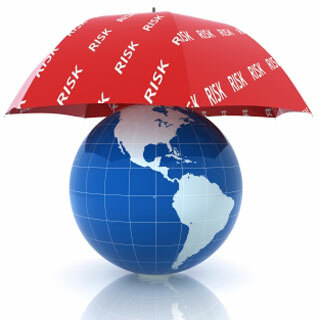 Exporters are insured against losses arising from various risks, either commercial or political. Export credit insurance gives exporters a significant degree of financial security, enabling companies to take on bolder export policies by accepting new purchasers and venturing into new overseas markets with fewer risks. Export Credit Insurance in Nigeria is available through the Nigerian Export Import Bank through their Export Credit Insurance Facility (ECIF). The world markets set standards for all products to ensure that the consumers/buyers have value for their money. These standards cut across different items and products being used in all the Nations of the world and it changes from time to time depending on the technological trends. It also varies from one country/region/continent to the other. 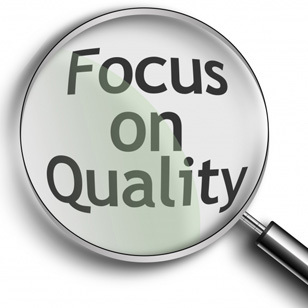 Therefore, for a product to succeed in any export market it must meet the quality specifications of that export market. However, the nonchalant attitude of most Nigerians towards the quality and packaging of what we produce locally is working very hard against us as we strive to have a place and a voice in the International Market. As at 2005, with an arable land area of 71.2 million hectare, Nigeria has cultivated less than 34 million hectare (FAO, 2005) which amount to less than 43% of our arable lands. The international union of food science and technology has put the Nigerian post harvest losses for fruits and vegetables at 30-50%, while about 75% of the Nigerian farmers are peasants who practice subsistence farming. Despite all these shortcomings and inadequacies, Nigeria is still ranked among the top producers of most of the above mentioned Agricultural commodities in the world. However; the qualities of our Agricultural products and its packaging have made our dear nation to be performing far below expectations in the export markets for Agricultural commodities around the world. For instance, despite the fact that Nigeria has a larger land mass with which she produces more raw cashew nuts than Ghana, Republic of Benin and Republic of Cote d'Ivoire, it will interest you to note that many Asian buyers prefer to buy their cashew nuts from exporters in these other countries for one singular reason, Quality! This has made the cashew nuts from these countries to command better prices than the ones that are exported out of Nigeria. Since some of the Asian exporters could not meet their buyers’ demands if they source from these other countries alone, they therefore source the commodity from Nigeria, transport them by road to the neighbouring countries and export them as products from those countries. It is therefore logical to say that, if some exporters ship Nigerian Cashew from neighbouring countries and it’s accepted abroad, that means the cashew nuts from Nigeria is not primarily bad, the buyer only expects the exporter to dry the product under a hot sun for at least 2days and then neatly pack it in a jute bag before shipment. This way the tonnage of the product will be accurate and it will be preserved during the journey to the destination. This seems to be a simple process but most Nigerian exporters refuse to do this in order to maximise profit. The singular act of undermining quality makes the buyers to divert their businesses to the neighbouring countries. We as a result, lose Billions of dollars to our neighbours. As the federal government intensifies the rebranding Nigeria campaign, it will be very important to take very drastic steps towards controlling the quality of Agricultural Commodity exported out of this country and make this known to the international community. This, I think will be a major step to regaining our pride and place in international trade, knowing fully well that no nation grows by trading with itself. Therefore setting up a quality control centre for Exportable Agricultural commodity using Public- Private Partnership (PPP) strategy will be of immense benefit to this nation’s non-oil export businesses. This centre should be saddled with the responsibility of promoting the export of good quality Agricultural products, training exporters and farmers on processing and preservation methods, inspecting the quality of items to be exported and issuance of a quality certificate. The Central Bank of Nigeria (CBN) should make this certificate part of the exchange control documents to be returned to the Banks after shipments in order to ensure strict adherence. If the non-oil export sector of the Nigerian economy can be given this type of attention, then we will be on our way to expanding our Agricultural commodity export markets, creating more markets for farmers and ultimately boosting employment and the nation’s GDP. 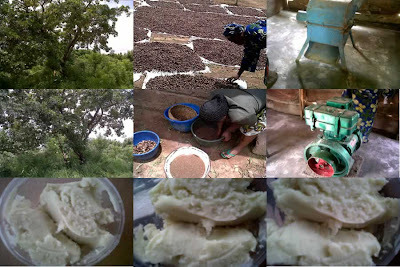 Specifications of Grade 1 Premium Shea Butter from Nigeria. 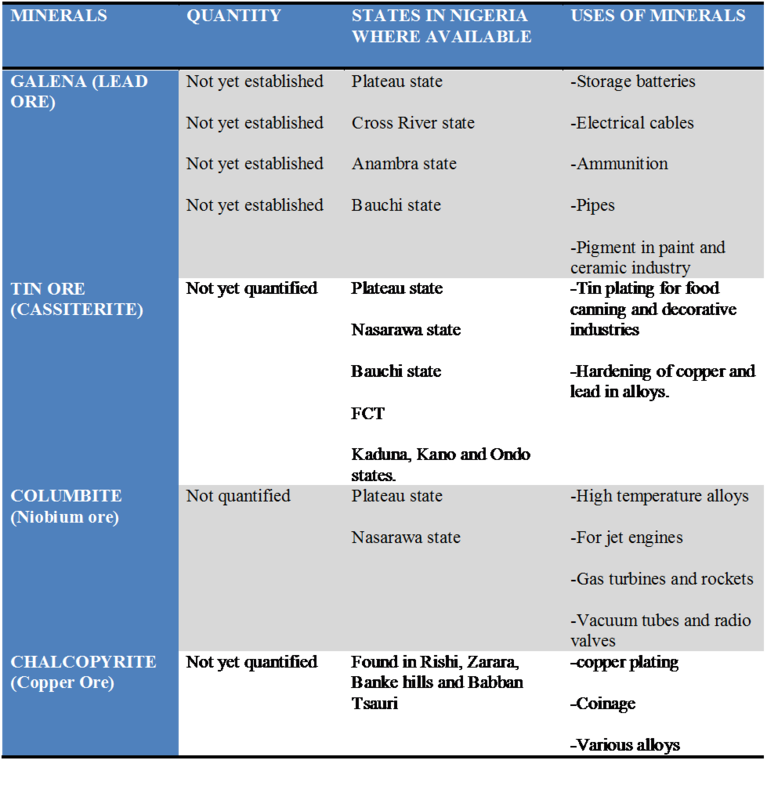 The Table below shows the Specifications of the laboratory analysis done on our product sample in a United State laboratory (INTERTEK OIL, CHEMICAL & AGRIC SERVICES). The Report Number of this analysis is US621-2079/48363.64504/10. Are you interested in buying high grade premium Shea butter from Nigeria, then contact us via +234 803 6522 946. Description: Copper is a chemical element with the symbol Cu (Latin: cuprum) and atomic number 29. It is a ductile metal with very high thermal and electrical conductivity. Pure copper is rather soft and malleable, and a freshly exposed surface has a pinkish or peachy color. It is used as a thermal conductor, an electrical conductor, a building material, and a constituent of various metal alloys. and the oxide: cuprite (Cu2O). Locations: Copper ore occurring in form of chalcopyrite (CuFeS2), is found in Zarara, Banke hills, Rishi in Bauchi state and Babban Tsauri area in Kastina and some other parts of Nigeria like Nassarawa, Plateau, Zamfara, and Gombe State. There are many industrial uses of copper, due to its high ductility, malleability, thermal conductivity and resistance to corrosion. It ranks third after iron and aluminum in the amount of quantities consumed for industrial purposes. It is alloyed with nickel and used in form of cupronicklel and monel for shipbuilding. The Watt's steam engine firebox is made from copper due to its high heat dissipation. Copper in liquid form is used as a wood preservative. It helps in restoration of original structures that are damaged due to dry rot. It is the main component of coins for many countries. The European Union, United States, United Kingdom, Australia and New Zealand use coins containing copper. The main uses of copper are in the construction industry. Copper is used for plumbing, roofing and cladding. Copper is a light and durable metal that helps build maintenance free structures. It has anti-microbial properties that help in providing hygienic surfaces in hospitals and other healthcare facilities. About 65% of copper that is produced is used for electrical applications. The important uses of copper include, use in power generation and transmission of electricity. It is used in transformers, motors, bushbars, generators, etc., to provide electricity throughout the country, safely and efficiently. In case of electrical equipments, it is used in wiring and contacts for PC, TV, mobile phones and in the circuitry. The everyday uses of copper include doorknobs and other fixtures in the house. Copper uses also include frying pans, knives, forks and spoons that contain some copper, if they are made from electroplated Nickel silver. It is also used in copper water heating cylinders, copper bath tubs, copper sinks and copper counters. Copper in form of metal and as a pigmented salt is used to make decorative art like statutes and sculptures. Copper is an essential nutrient to all higher plants and animal life. In animals and humans it is present in tissues, liver, muscles and bone. The main function of copper in the body is to act as a co-factor in various enzymes and copper based pigments. The important uses of copper in the transportation industry include building of trams, lorries, cars, trains, etc. High purity copper wire harness system is used to carry the current from the battery throughout the vehicle. The current is carried to the lights, central locking, on-board computers, satellite navigation systems, etc. The electric supper trams made from copper and its alloys helps provide cities with clean and efficient transport system. It is also used in overhead contact wires that help pass the current throughout the train. Export market: The major export markets copper ore is China. Other buyers next to china include Finland, Hong Kong, Taiwan. Other minor buyers include India, Germany and United state. 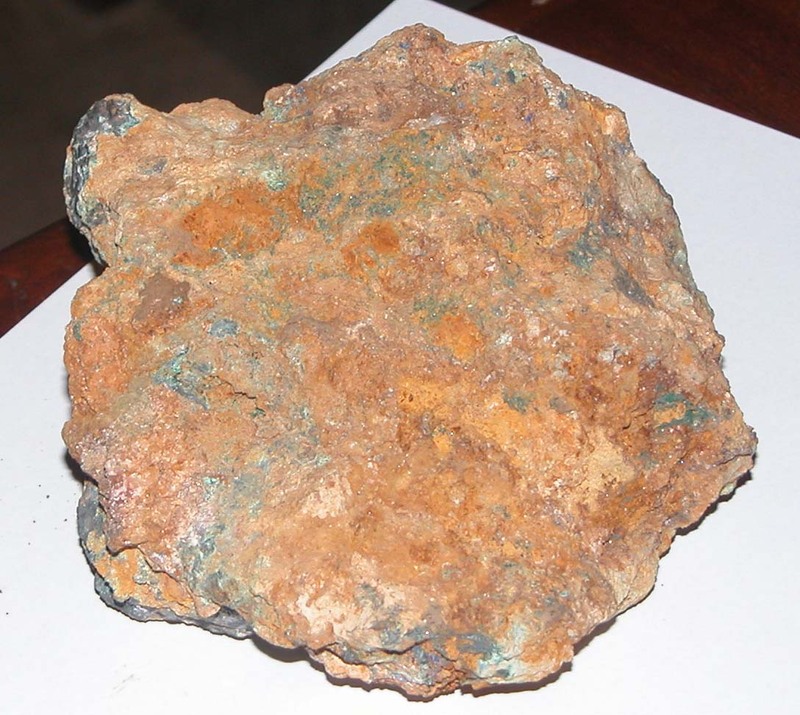 Export Price: Depending on the percentage purity of the copper ore and the prevailing London metal exchange (lme.com) price, the FOB price of copper ore could vary from US400-USD600/MT.